Also two workshops at Cheshire Fibre Festival. We may have met already at workshops, or wool festivals, I hope you are still enjoying needle felting and making, or you may be planning to try felting for the first time, so here are a few dates for your diary, hope you can join me and we'll make something lovely with wool. You can see plenty of pictures and examples if you follow on the links below. So far I've booked Saturday afternoons at Artwork Studios and Gallery in Northwich Cheshire, starting in May. I could fit in one or two week days if anyone can't make weekends, do let me know if this would suit you better. I also travel further out to some really nice venues, and you can see those workshops on the website links below for availability/booking. £25 per person, including all materials to keep. Age - minimum 12 years. 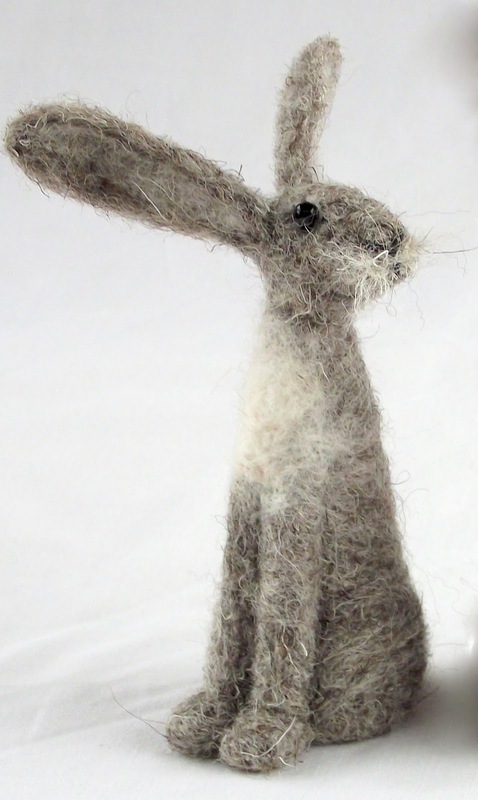 Using felting needles and wool fleece. Repeatedly pushing the barbed needles into the wool makes the fibres tangle together and create solid 3 dimensional forms. Learn how to model the wool into shapes, join them together and turn the wool fleece into your own charming sculpture. Saturday 12th November Polar Bears. 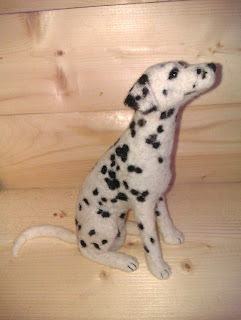 Needle felted animal portraits, dolls, felt making kits, books and workshops. I spent many years as a freelance sculptor working for the giftware industry including Coalport,Wedgwood, Genesis Fine Arts, modelling ranges including 'Jenny Oliver's Faeries', and the Snowman and various collectable figurines. Now a felt maker, doll maker and illustrator, I specialise in needle felt sculpting, commissions and workshops and a range of creative books. Please email several pictures including different angles, to show profile, face, any markings and tail, and any particular pose, standing, sitting, playing, sleeping , and I will capture that pose and likeness! Please allow at least one month for making, and let me know if this is required in time for a special occasion. 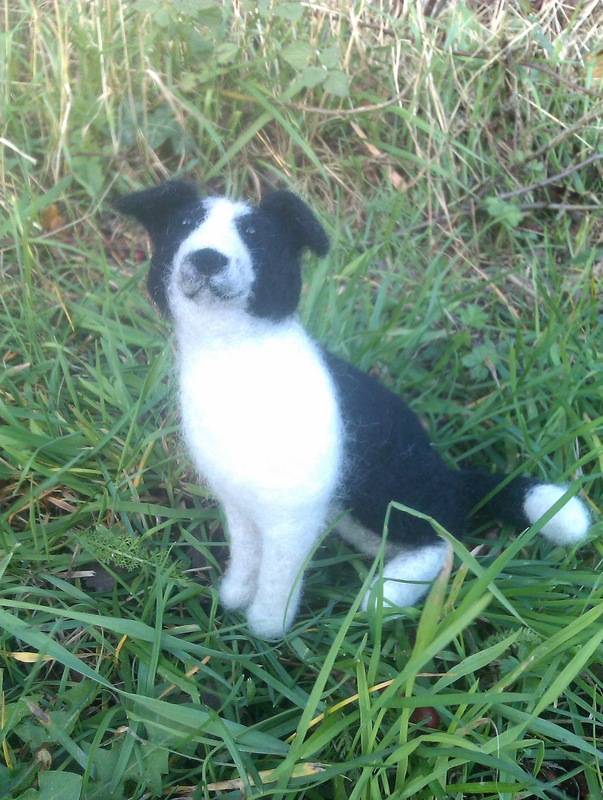 A deposit of £50 is required (payable to paypal account mrsjennybarnett@gmail.com and the balance when you have approved the finished sculpture. I am happy to make any adjustments to get it just right. 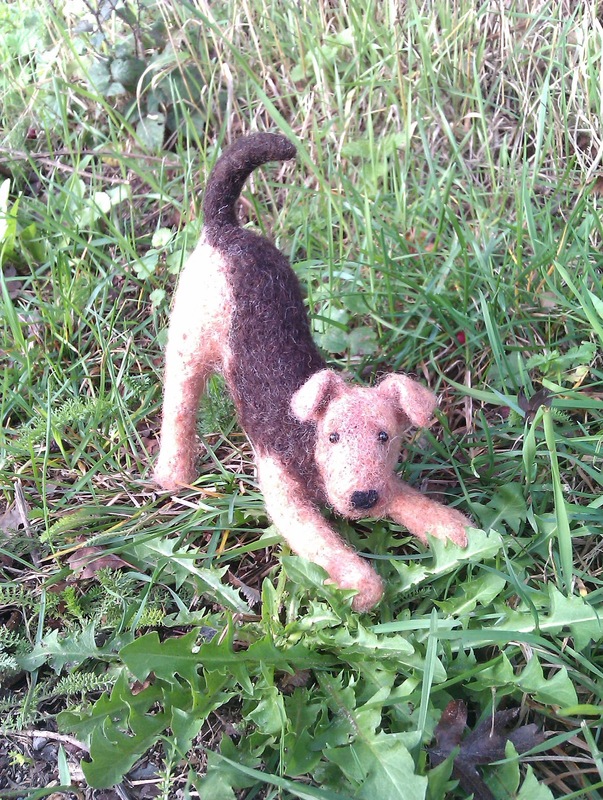 Made with needle felted wool including pet fur if desired! More dates will be added when we have restored a big old narrowboat into a floating studio for the needle felting workshops. 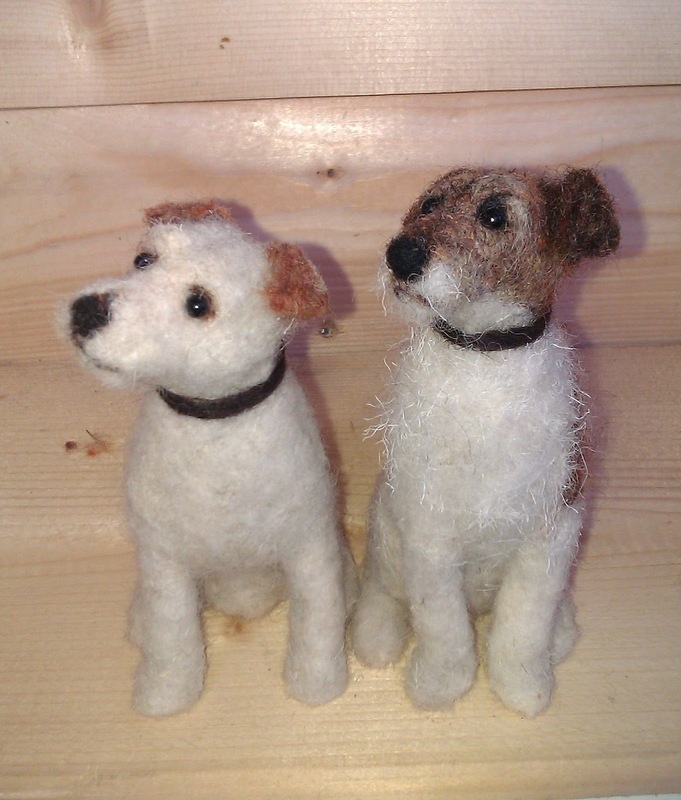 These will include dog portrait workshops, and owl brooches, and more hares. All the above workshops will be from 12.30 until 3.30pm. Upstairs at the gallery, there is wheelchair access. No experience is needed, age range adults and 12 upwards. Dates and details will be listed on this page soon. Or Workshops can be arranged. 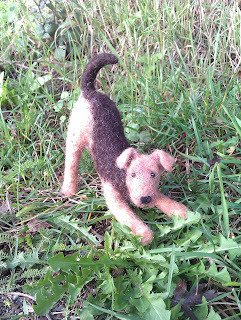 Some suppliers for needle felting.. The needles we use in the kits and workshops are 36 gauge triangle(with the red paint on tip) this has three edges and larger 'barbs' and does more work, good for building shapes...38gauge star , this is the finer needle with 4 edges and smaller barbs, good for detail, and finishing off.